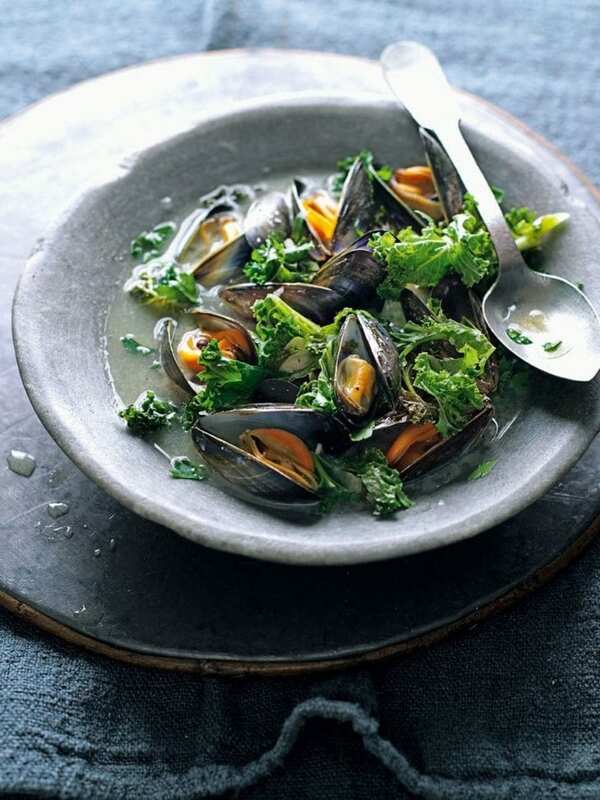 Make this quick and easy mussels recipe with kale, garlic and cider. Don’t forget the crusty bread for mopping up the juices. Heat a large deep pan with the olive oil. Finely chop the shallots and garlic, then add to the pan, stir to coat and cook gently for 5-6 minutes. Add the kale and fry gently for 1-2 minutes, then pour in the cider and turn up the heat to bring to a simmer. Add the mussels to the pan (discarding any that don’t close when tapped sharply), bring to the boil, put the lid on and cook, shaking the pan every so often, for 3-4 minutes until the mussels have all opened (discard any that remain closed). Finely chop the parsley, then stir through the mussels. Divide among bowls and serve with plenty of good bread to mop up the juices.